Whenever talking about fashion decades, I have trouble choosing one single representative look for a certain period of the history of fashion in my mind. I find it quite challenging, so I go and do some research in an attempt to get my styles straight and as I start to dig further, all Saint Google does is getting me deeper in the sartorial maze! Of course there are elements that will always evoke a particular decade in our minds: those sixties’ preppy mini–dresses à la Twiggy; flared pants, flared pants everywhere in the seventies; the big shoulders and sprayed hairstyles of the eighties… But 10 years is a lot of time, and it’s obvious that even those iconic elements would change throughout the decade, and there were always tribes of people that would go against the trend of the moment, that would stand out for their unique style vision. Fast-forwarding to the present, it amazes me to think that those styles once considered underground are now inspiring hundreds of people in their search for uniqueness and individuality. As you may have realised already glamistas, we live in a time where fashion is trendier than ever and there is room for every single style you can think of! 1. The walkman: people call it the original iPod and I have to agree. As a diagnosed musicaholic, there was no place I wouldn’t go with this little portable juke box! 3. VHS tapes: same as with the walkman, this was the way we would bring the cinema home, renting and recording VHS tapes, plus do you remember those blurry home recordings of your sister’s birthday or the Christmas school play? My parents had lots of them stacked in a beautiful asymmetrical shelving unit made by my dad, and we would always decide together what we wanted to watch. It was a nice and treasured family time for us. 4. Disney movies: I would lie if I said the most recent Disney movies are as good as the ones created in the 90s. You would fall in love with each and one of the princesses for different reasons, and the soundtracks and drawings were simply amazing. I still keep several Disney Princesses colouring books and I remember getting an Aladdin sketching book that got me drawing Jasmine’s face like it was my purpose in life for two months. 5. Love and friendship letters: ok, not an exclusivity of the 90s, but back in my time (do I sound like a grandma or what?) handwritten letters was a BIG thing. You would write a letter to your bestie to tell her all about your latest crush, the teacher would intercept said letter, your parents would be called for an urgent meeting… this is what I’ve heard happened to other people in my school *ahem*… The point is that handwritten pieces would hold so much value and were really personal. Call me nostalgic, but I don’t think an email or a WhatsApp message will ever replace that feeling of receiving a paper letter. 6. Our first PC: this is such a classic for a 90s kid. Who could forget that high-pitched intermittent sound when the connection was being established, as if E.T. was actually calling home? Or how my mum became addict to the game of Pinball and we would save data (like a document and a half) in floppy disks, eh? 8. Hair wraps and friendship bracelets after summer camp: I still see these at every alternative fair or festival I go to, but it always brings me back to those summers away from home, where you would fill your hair with those little rainbow coloured pieces of art: colour blocks, criss-cross, stripes, feathers, wooden beads… That and thread bracelets for all your newly acquired friends, in the hope that the distance that would separate you from your new BFFs during the rest of the year could be overcome by simply looking at that tiny colourful strand around your wrist. 9. Spice Girls: if you are a girl and haven’t been in a Spice Girls band with your gals you didn’t fully experience the 90s, nor did you probably embarrassed yourself in front of a crowd during end of school year show, lip-syncing Wanna be while trying to perform a choreography that you only rehearsed 10 times in Jennifer’s basement for a couple of weekends… Why, God, why??!! 10. Leonardo DiCaprio in Titanic: Leo had to be the cherry to this list, dears: my first love, the only real size poster ever hung from my wall, my first heart-break when I saw him sinking in the bottom of the ocean because stupid Rose couldn’t make room for him on the huge bed headboard! Those were real tears of sadness at the cinema, I tell you!! Sorry for the long read, but I hope you liked this kind of post, glamistas, I had so much fun remembering my good ol’ days! Haha, I’m a 90s kid too, but probably born a little later than you because I didn’t really experience the Spice Girls craze (though there were girls in my class who invented their own choreos, but to groups like Vengaboys and Aqua, *cough*). But Disney and Tamagotchi were big things for me, definitely (can still sing every line of every “Lion King” song :D). And I love “Titanic”, though only discovered it in the 00s – that “why didn’t she let him on the wooden board” thing bugs every fan – I guess it’s the sacrifice that makes it even more romantic! hi girl, loved to read your comment and see that despite the difference in decades we still share a lot of iconic things from our childhoods 🙂 I know all the Pocahontas and Mulan songs (those are my favourite (warrior) princesses! :)) And the ending of Titanic is definitely the ultimate act of romanticism, but couldn’t they have lived happily ever after in the new America? *sigh* Hope you come and visit my little blog some other time, dear! Great 90s outfit and I love your hair colour! Your list made me pretty nostalgic, growing up in the 90s was fun. I was obsessed with the Spice Girls and tried to wear my t-shirt every day to the point my mom would get mad at me lol. I’m not sure if I have a favourite decade for style, I love elements from most decades. Slip dresses and chokers are my favourites from the 90s. This vibes are so cool and I love this post! It reminds me so many souvenirs from the 90s! What a fabulous 90s look my dear! You look amazing! Such a cool statement and this oversized jacket is a must-have! I am currently searching for the perfect one and yours looks so ideal! I like wearing it with dresses to give a more casual/edgy twist! Love your hairstyle by the way! You look super stylish babe ! Thank you for visiting Andreea! Really glad you liked this whole look, I am so obsessed with the 90s vibes lately 😀 Happy week, pretty gal! Oh girl~ You just took me through a serious time warp and I can totally relate to everything on your list! I was a 90s kid too and seriously in love with the Spice Girls. I would by multiples of the single double bubble gum chews just to collect the spice girl stickers. I was also madly in love with Leo from Titanic and thought it was the greatest movie ever created. I never really got into the tamagochis. I had one but i feel like I thought it was too complicated to ditched it pretty quickly after getting it lol. Hahahah, we didn’t have the Spice Girls bubble gum stickers, that’s so funny Rina! I am really glad you enjoyed this post and that we share some of those childhood memories ♥ Happy Wednesday, sweetie! I’m all about the 90’s! I love this outfit, your denim jacket is amazing! 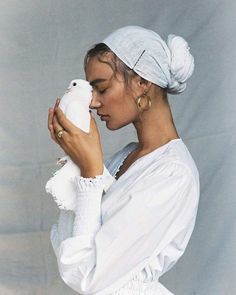 I also love the fashion democracy nowadays, interchanging those labels, decades, inspirations… All is allowed and all is possible ♥ Have a great day Mia! I love that the 90s are coming back in style! Me ha encantado leer tu post, me has hecho recordar mogollón de cosas. Yo tuve una especie de Tamagochi, y todavía me acuerdo de que había que darle de comer, sacarlo a pasear y limpiarlo jajaja. El look de hoy me encanta. Es súper cañero y la inspiración noventera me flipa. Leo Dicaprio también fue mi obsesión, y el póster de Titanic estuvo en mi habitación mucho tiempo. Y miles de recortes y páginas de revistas donde salía él jaja. Un saludo enorme guapa! I had a walkman haha don’t miss it tho…too bulky! I miss friendship bracelets for sure – so cool. Loved this classy school outfit! The 90’s era was truly one of the best eras! This look perfectly encapsulate that decade with a mix of grunge and retro!